Turzańsk [ˈtuʐaɲsk] (Ukrainian: Туринське, Turyns’ke) is a village in the administrative district of Gmina Komańcza, within Sanok County, in the Subcarpathian Voivodeship (province) of south-eastern Poland, close to the border with Slovakia. 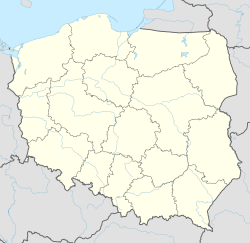 It lies approximately 7 kilometres (4 mi) east of Komańcza, 21 km (13 mi) south of Sanok, and 75 km (47 mi) south of the regional capital Rzeszów. The village has a population of 350. This Sanok County location article is a stub. You can help Wikipedia by expanding it. This page was last edited on 23 March 2017, at 11:29 (UTC).